State lands preserved as parks, forests, wildlife habitat and farmland need the enhanced protections a bill pending in the legislature would afford, more than a dozen speakers told the Environment Committee of the state legislature Wednesday. "We have a problem in the state that we have lands that have been acquired for conservation that are unprotected," said Amy Blaymore Paterson, executive director of the Connecticut Land Conservation Council, a coalition of land trusts, statewide conservation and advocacy organizations, town conservation and open space commissions and garden clubs. "This bill would go such a long way to restore the public trust, and enable the state to move forward to acquire new lands with the tools needed to protect them." Her testimony came during a public hearing on bill that would require that conservation restrictions be placed on the deeds of lands owned by the state Departments of Energy and Environmental Protection and Agriculture that are deemed to be of "high conservation value." It also establishes that all lands owned by the two departments are presumed to be of "high conservation value," unless the commissioner of either department can establish otherwise and follows a public procedure to sell or swap the parcel for another preservation-worthy property. Sandy Breslin, director of government affairs of Audubon Connecticut, said the measure is needed to protect the state's "natural infrastructure" of park, forest and agricultural land that is needed for clean water, clean air, outdoor recreation, wildlife habitat and food production. "Right now there is a lack of a clear mechanism to protect them," she said. The bill was introduced by the Environment Committee after the state Council on Environmental Quality released a report last month citing several recent episodes where state conservation lands were being considered for private or state development proposals. While most of the public assumes these lands are already permanently protected, in fact, they are not, the report says. "There have been proposals for well over 200 acres in the last three years," said Karl Wagener, executive director of the council, told the committee. "These parcels should only be given away under extraordinary circumstances. The proposed legislation would communicate that the door is not wide open." Committee Co-Chairman Sen. Ed Meyer, D-Guilford, urged Wagner to lobby for passage of the bill. "Make your voice heard inside and outside this chamber, because we're anticipating an uphill fight in the legislature," he said. State Rep. Edward Moukawsher, D-Groton, said the bill lacks a clear definition of "high conservation value," and that it could make it impossible for these agencies to consider development or land swap proposals for property that has little conservation value. "My concern is that there won't be any flexibility with lands that have become property of the state or DEEP," he said. "If this were enacted, it would prevent any kind of reuse, and I'm concerned about that." Eric Hammerling, executive director of the Connecticut Forest & Park Association, said, however, that the bill "would not lock up all DEEP and Department of Agriculture lands forever. "It would lay out a process where land can fairly be conveyed," he said. In written testimony, Robert LaFrance, DEEP's director of governmental affairs, said that while the agency shares the concerns of conservation groups about the need for better protection for state lands, "we do not believe that much of the approach in (the bill) is practically workable. "A more workable and ultimately more valuable approach," he wrote, "would be to precisely define the characteristics of land of 'high conservation value' ... in plain language so that all branches of government in Connecticut could embrace and use such a defined term." 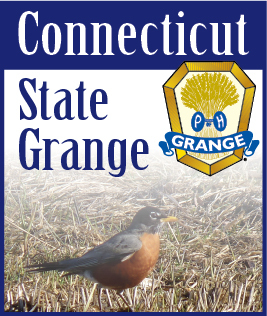 Gordon Gibson, legislative liaison for Connecticut State Grange, said he believes that the bill should go further, ensuring that the lands owned by all state departments that have high conservation value are protected. He cited property owned by the University of Connecticut and former prison farms owned by the Department of Correction as examples. Before taking his current position, Gibson worked for 19 years in the land acquisition division of DEEP and said he encountered several situations when the proposed bill would have better protected lands being considered for sale or swap. Other speakers, including Donald Smith Jr. of Meriden, retired director of DEEP's Division of Forestry, said the bill is needed "to honor the expectations" of people who have donated or sold land to the state with the expectation that it would be preserved in perpetuity. He recommended that the bill be revised so that a property's "high conservation value" is determined "based on science, not on subjective criteria, after examination by natural resource professionals."